Portable anti-aircraft missile complex "Verba" for the first time will introduced at the forum "Army-2015"
MOSCOW, June 4. /TASS/. Research and production Corporation "engineering Design Bureau" (MSC, is the NGO "Precision complexes") in the International military-technical forum "Army-2015" will portable anti-aircraft missile complex of new generation "willow". This was announced on 4 June, the representative of MSC. The crews of airplanes and helicopters began to arrive in Kubinka on the forum "Army-2015"
He noted that for the set of technical characteristics "willow" is superior to the global counterparts. "The use of new MANPADS in the Armed forces of the Russian Federation allows you to provide cover for military forces from attack by aircraft using modern anti-air defense systems, mass strikes cruise missiles, to create an effective near the line of defense of important objects", - said the representative of MSC. 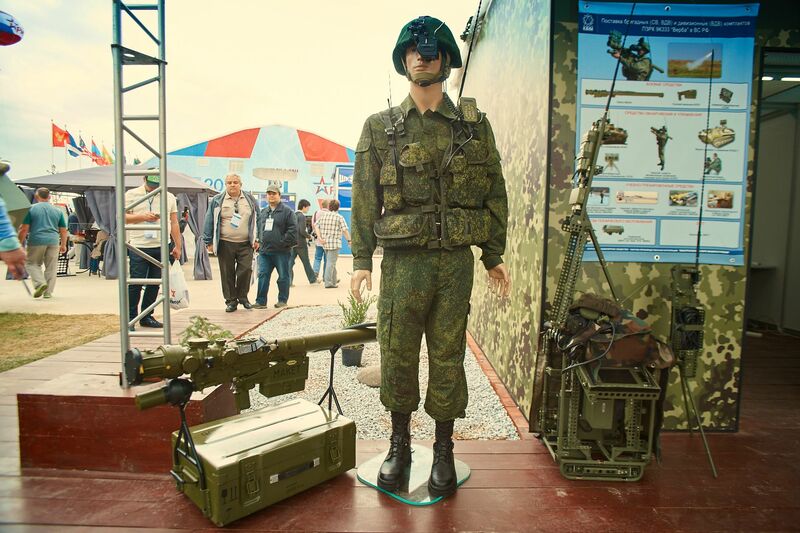 International military-technical forum "Army-2015" will be held from 16 to 19 June, on the basis of constructed Convention and exhibition centre Military and Patriotic Park of culture and rest of the Armed forces of the Russian Federation "Patriot" in Kubinka (Odintsovsky district, Moscow region). MANPADS "Verba" is equipped with a new-band optical homing head can engage targets flying at speeds up to 500 m/s, at a distance of 6.5 km and a height of up to 4.5 km, warhead Weight of the missile is about 1.5 kg. In late August it was reported that "Verba" already armed airborne division and a motorized infantry brigade of the Eastern military district. In Kolomna machine-building design Bureau was informed that the Ministry of defence has signed a long term contract for the supply of "Willow" and deployed mass production of the complex. I wait the long time. it look hitech ! 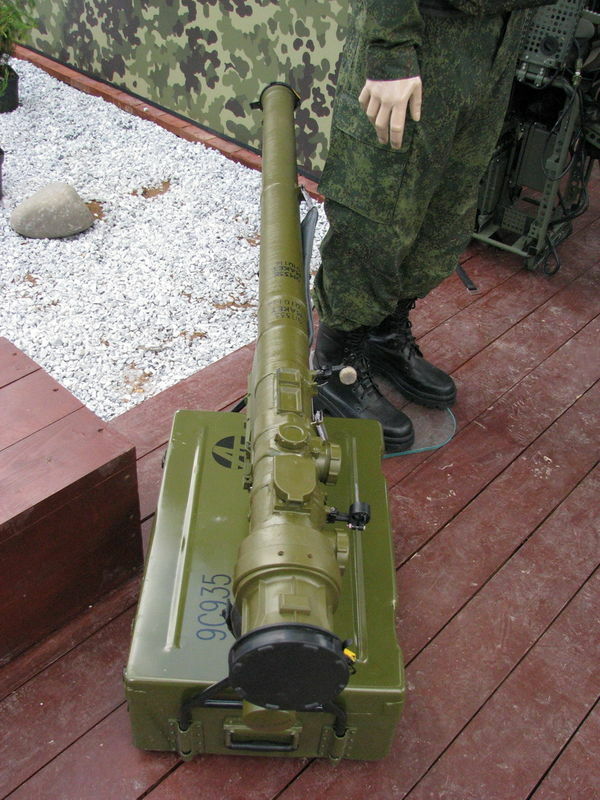 We have posted pictures of the 9M336 earlier on this thread at http://www.russiadefence.net/t3193-verba-manpad#55544. I think Verba is the nickname for the system, not just the missile. Russian defence company KBM officially unveiled its new-generation 9K333 Verba (Willow) manportable air defence system (MANPADS) during the Army-2015 international forum and declared for the first time that it has been cleared for export sales. 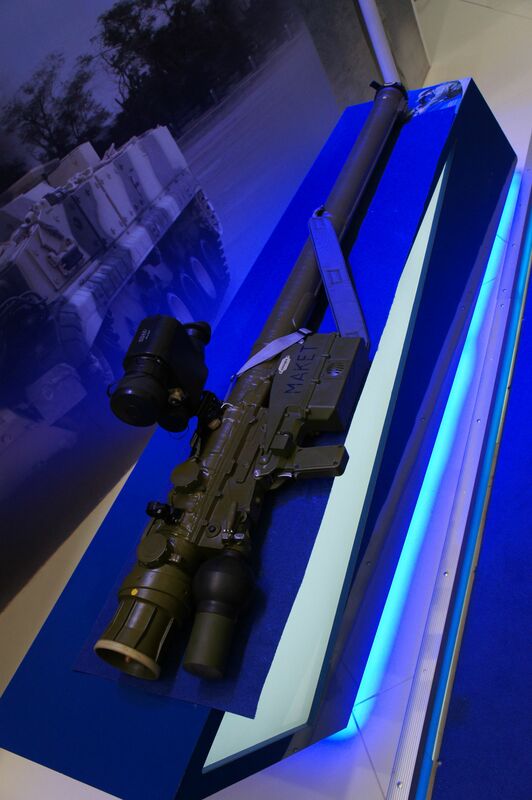 "The export of Verbas is permitted and we have been asked to supply the MANPADS [to a foreign customer],"KBM designer general Valeriy Kashin said during the event. However, he did not identify the customer. The system is already in serial production for the Russian Armed Forces, with several ground forces and airborne brigades receiving Verbas since 2014, Kashin said. The system's 9M336 missiles is the only one of its kind with a three-channel optical seeker, which operates in the ultraviolet, near-infrared, and mid-infrared wavelengths. Kashin said this "makes the MANPADS a more accurate and sensitive weapon. The enhanced sensitivity increases the range of practical target acquisition". 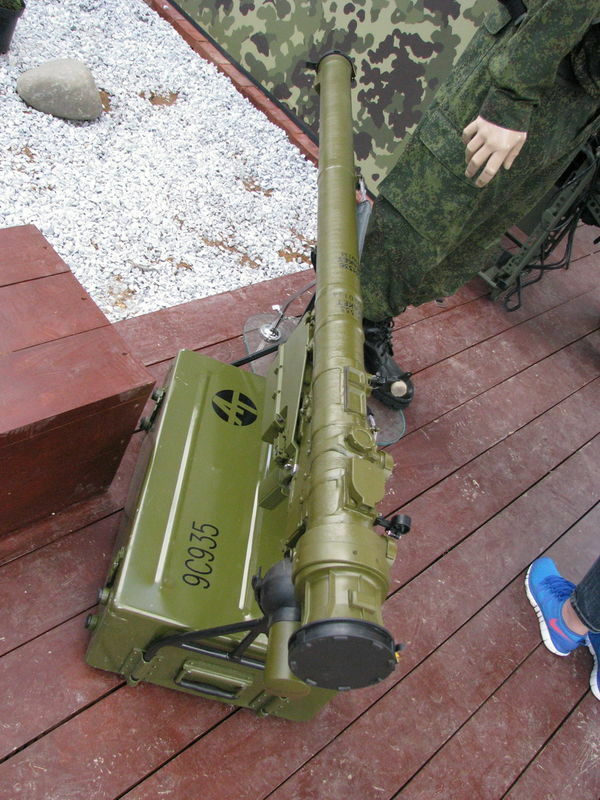 Comparing it to other MANPADS, Kashin said it is the most capable ever developed. 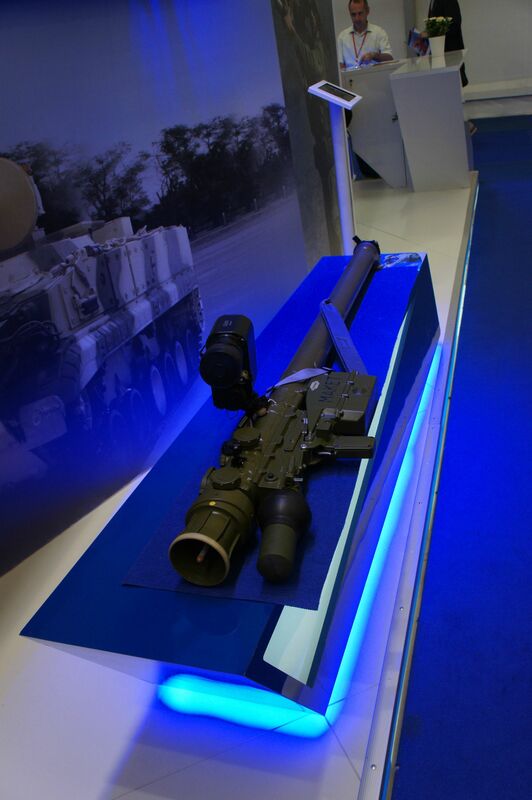 "Verba has a fire range of 6 km and the range of target acquisition is increased by two-and-a-half times. [It's] jamming resistance against flares is increased by 10 times," he said. He described the system as "fully digital" and said that, while it can be used autonomously, it becomes significantly more effective if integrated with a fire control system. It also has an identification friend or foe (IFF) system integrated as standard. The designer general pointed out that KBM was developing air and naval variants of the system. "We have made some hardware to integrate it into air and naval platforms; of course, we are going to do that", he said. Or the program could simply suppose that a smoke always cover a tank and the tank is inevitable in the back. Here is the picture from Jane's. The Russian military is receiving new man-portable air-defense systems that outshine such powerful weapons as the Stinger and Igla-S. At first glance, Verba looks like its Russian and American predecessors the Igla and Stinger: a tube and an aiming sight. However, at that point the similarities end. The new MANPAD goes beyond hitting traditional targets for this type of weapon — helicopters and planes — and is capable of striking cruise missiles and unmanned aerial vehicles (UAVs, drones). Its surface-to-air missile (SAM) is equipped with a unique three-spectrum seeker that comprises the ultraviolet, near infrared and middle infrared bands. This variety provides more data about the target, which makes Verba a discriminate weapon. Moreover, Verba's seeker is more sensitive than that of the Igla-S, which extends the range of target engagement. The seeker automatically detects decoy heat targets and ignores them, focusing on targets with greater heat, which makes the new MANPAD extremely precise. The automatic system detects the flight parameters of a group of targets and assigns them among the shooters, taking advantage of each serviceman's location. Verba has been tried by Russian airborne troops whose commander reported that shooting sped up more than tenfold. Earlier, it took from three to five minutes between detecting a target and firing at it; with Verba, the process narrowed to several seconds. The system also includes a ground-based "friend-or-foe" interrogator to prevent friendly fire. Verba's new solid-fueled engine allows the shooter to hit a target that moves at the speed of 500 m/s at a distance of more than six kilometers. The strike altitude varies from 10 meters to 4.5km. This gives Verba a significant advantage over the Stinger that cannot attack helicopters flying lower than 180 meters. Verba has a simplified maintenance service and has proven sustainable even in harsh Arctic conditions. The military considers Verba as a reliable defense against contemporary attack aircraft and cruise missiles. The Russian Defense Ministry has already signed a contract on delivering the systems to the Armed Forces. 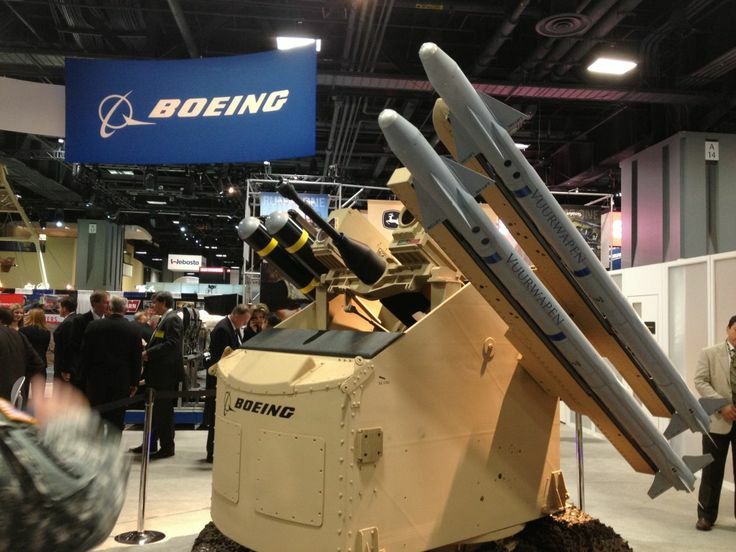 btw do americans still use Stinger MANPAD only or they have upgraded their manpads too ? 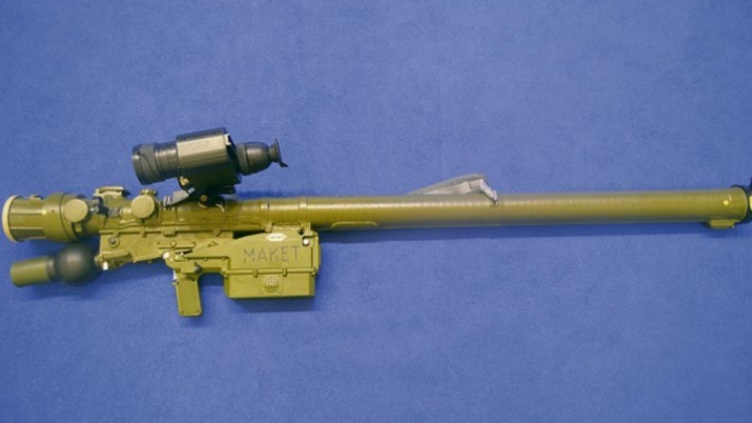 Can anyone compare both russian and usa manpads . max steel wrote: btw do americans still use Stinger MANPAD only or they have upgraded their manpads too ? Can anyone compare both russian and usa manpads . Can anyone tell me what that cage thing is on top of the launcher? I'm guessing its similar to what's commonly seen on the stinger launcher. It is the IFF antenna. The Russian military is receiving new man-portable air-defense systems that outshine such powerful weapons as the Stinger and Igla-S. The brand new Russian man-portable air-defense system (MANPAD) Verba, presented at the ARMY-2015 exhibition in the Moscow Region, has unique characteristics that make it the best in the world, TVZvezda reported. At first glance, Verba looks like its Russian and American predecessors the Igla and Stinger: a tube and an aiming sight. However, at that point the similarities end. What I found on internet . Russia recently announced that some troops had begun receiving the new Verba shoulder fired anti-aircraft missiles. This missile had been mentioned for several years, as a replacement for the Igla-S models. Also known as the SA-24, this one is a post-Cold War upgrade of a design that was introduced the same time as the American Stinger (early 1980s). Igla-S entered service in 2004, weighs 19 kg (42 pounds) and fires an 11.7 kg (26 pound) missile for up to 6,000 meters.No exact specifications on the Verba have been released yet but they are probably somewhere between Igla-S and the Stinger. Verba is said to have about 20 percent greater range, speed and altitude as well as a 20 percent heavier warhead. The heat sensor is more effective as is the ability to defeat countermeasures.In contrast the 14.3 kg American Stinger fires its 10.1 kg missile out to 8,000 meters but both systems have similar resistance to countermeasures and a warhead of about the same size (2-3 kg/4.4-6.6 pounds). The Igla-S in the hands of terrorists could bring down helicopters and airliners taking off but was designed for battlefield use against helicopters and other low flying aircraft. Along with Verba comes a new control system for short range anti-aircraft systems. The Russian press release describes the new command and control system as unrivaled. That said, the U.S. has had such systems since the 1960s but the Russians don’t make any comparisons. George1 wrote: The Russian press release describes the new command and control system as unrivaled. Verba for Gibka? Will Verba replace Iglas in Gibka naval mounts? any news?